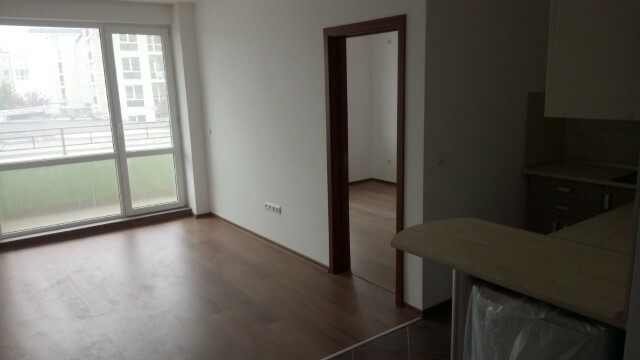 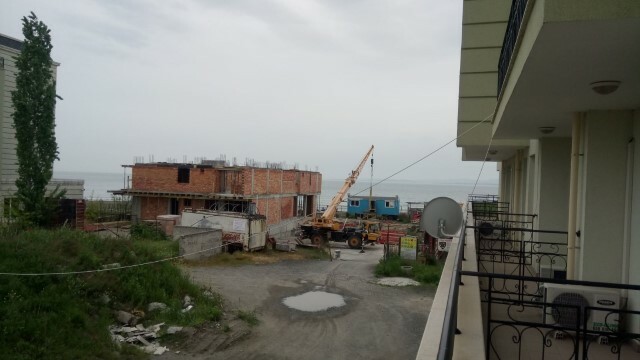 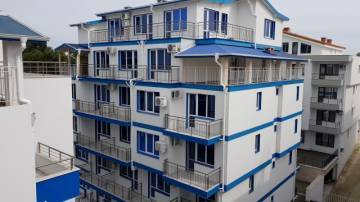 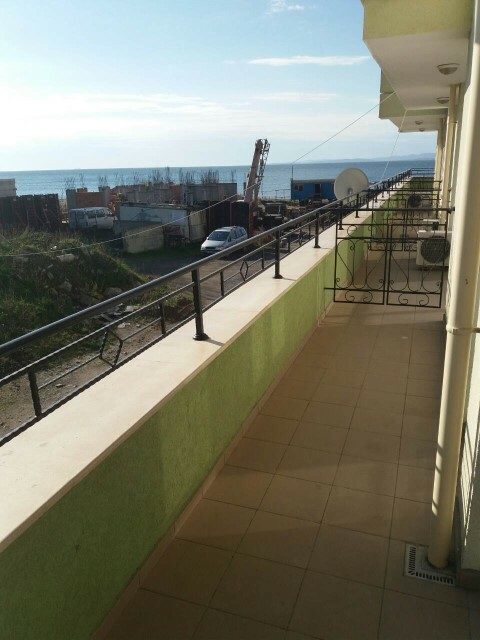 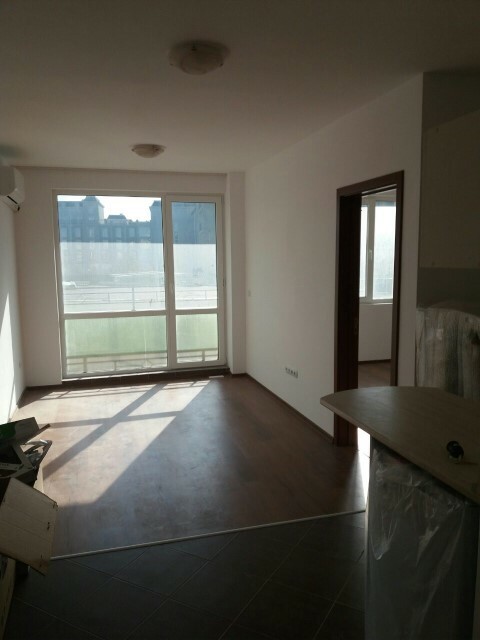 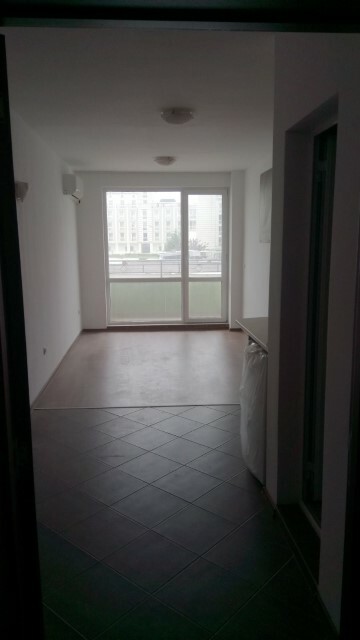 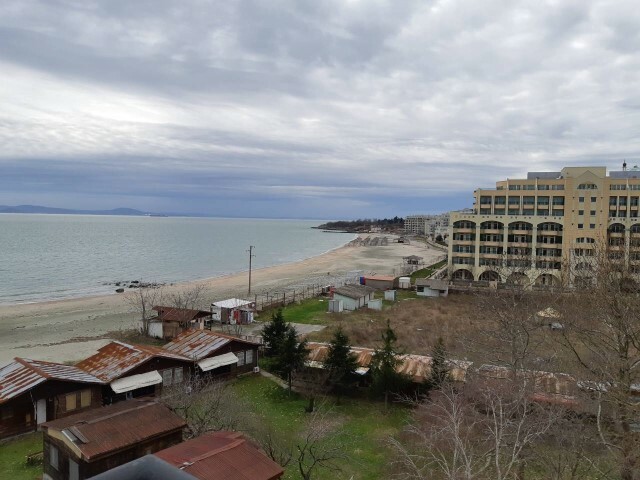 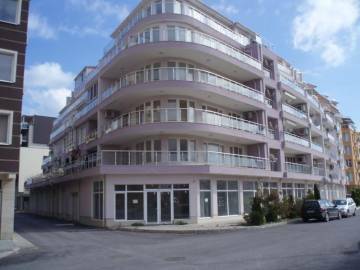 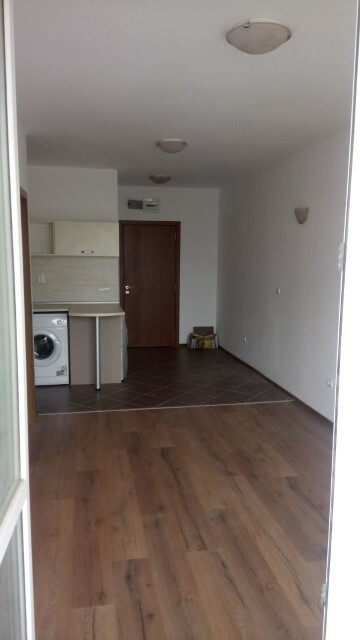 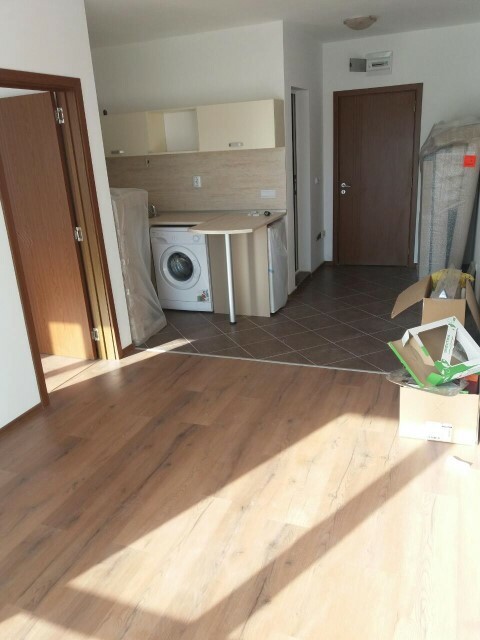 Description: We offer for sale a fully finished and partially furnished one-bedroom apartment situated on the first residential floor of five + ground and has a total built-up area of 56 sq.m. 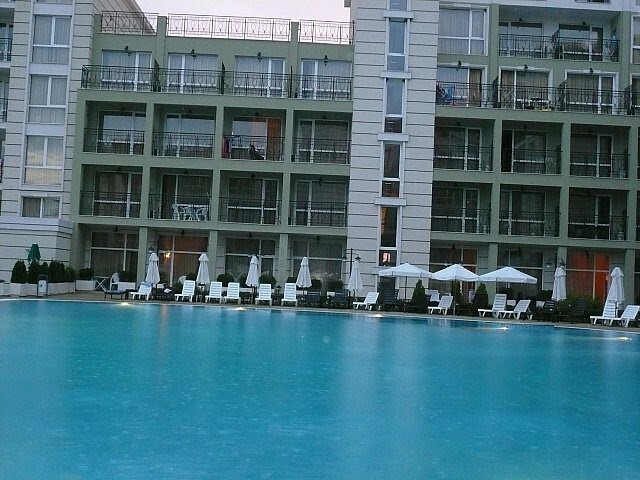 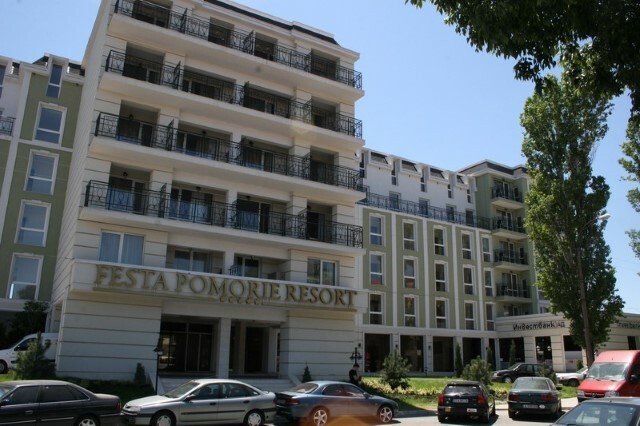 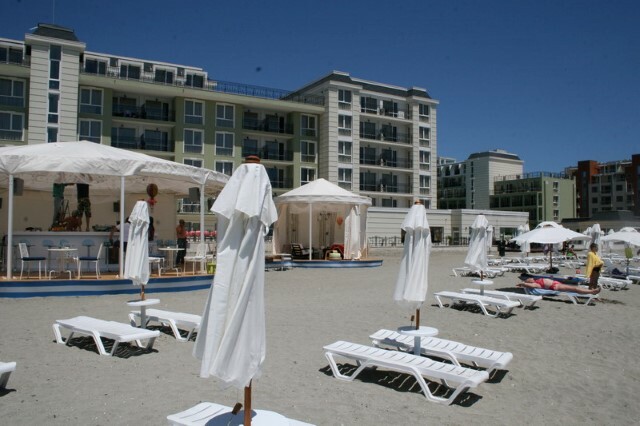 The luxury complex has a hotel and apartment area and provides many opportunities for recreation and relaxation. 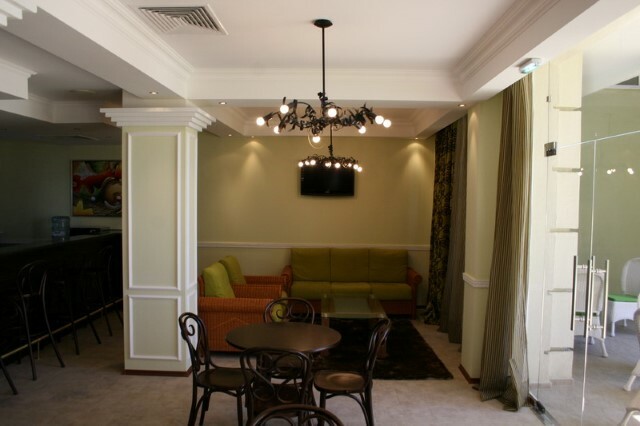 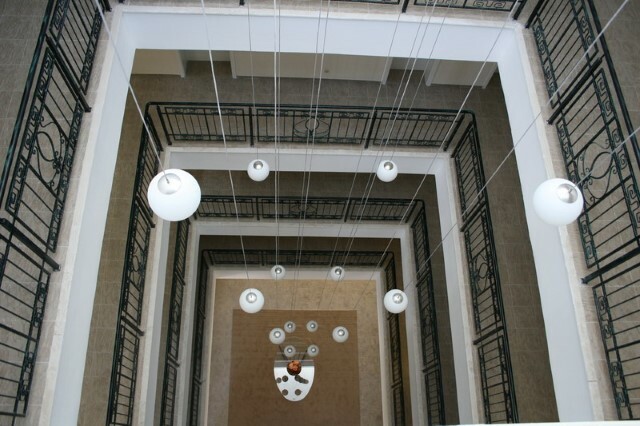 It combines impressive architecture and comfort of the interior and exterior spaces. 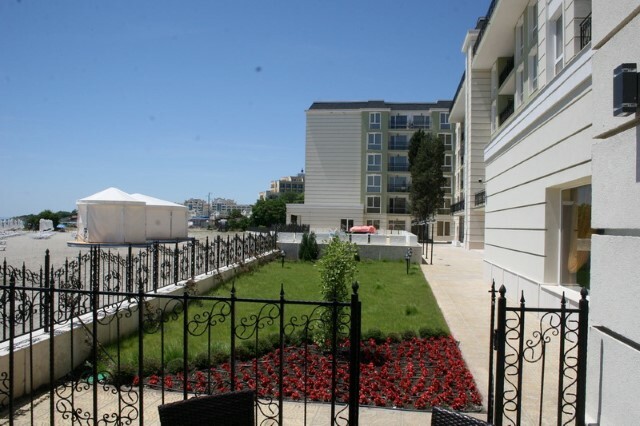 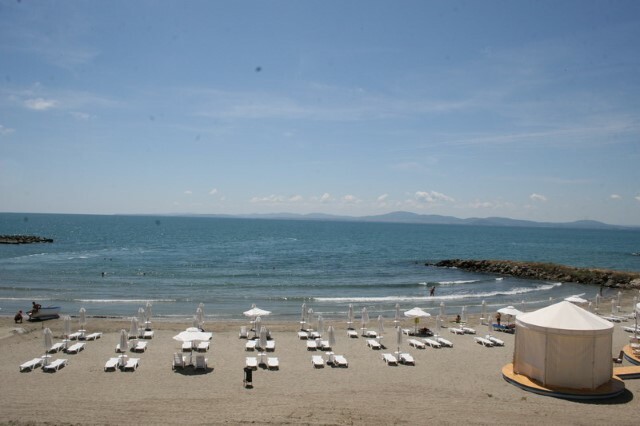 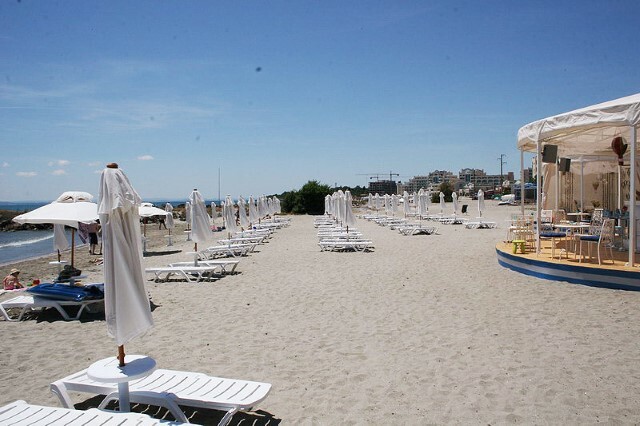 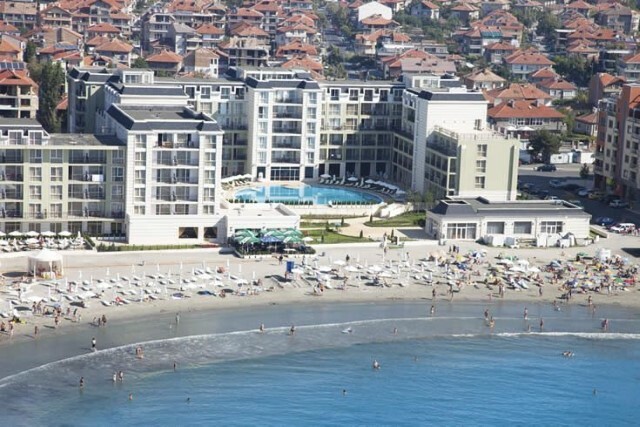 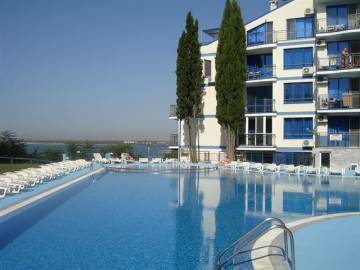 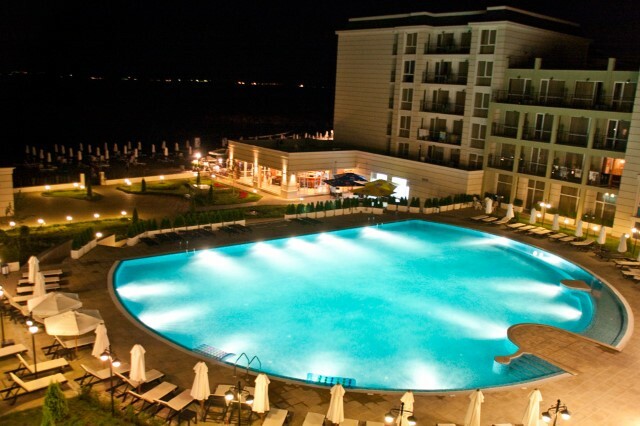 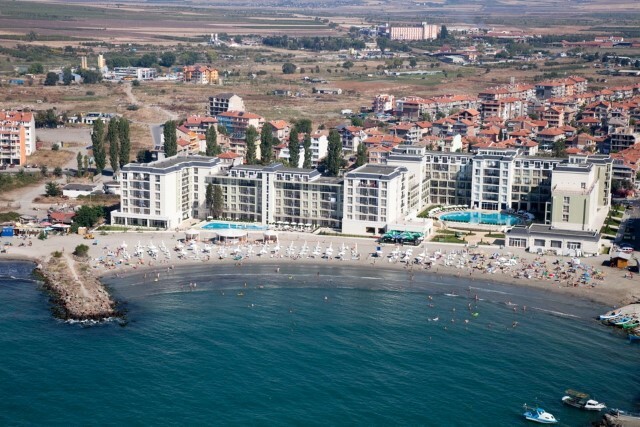 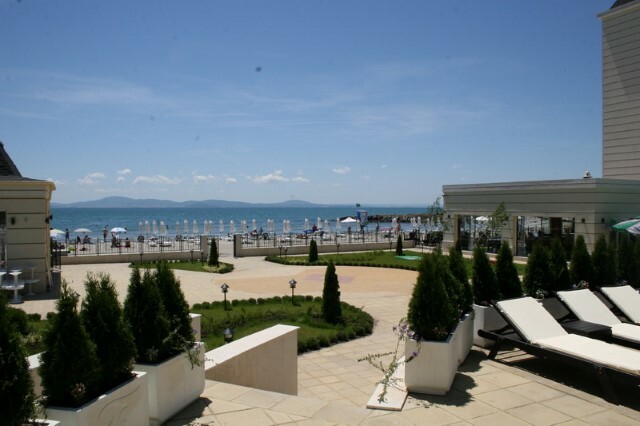 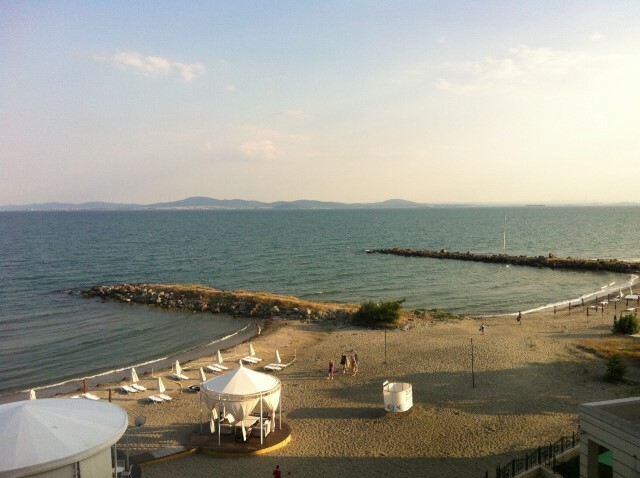 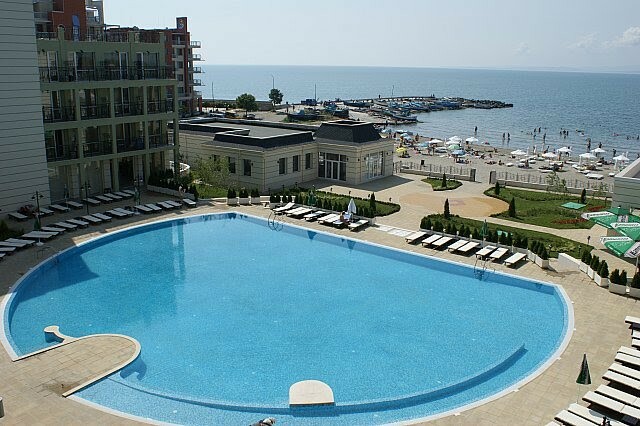 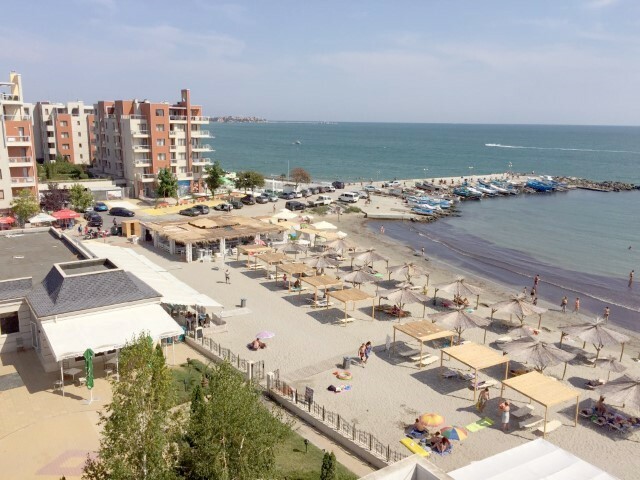 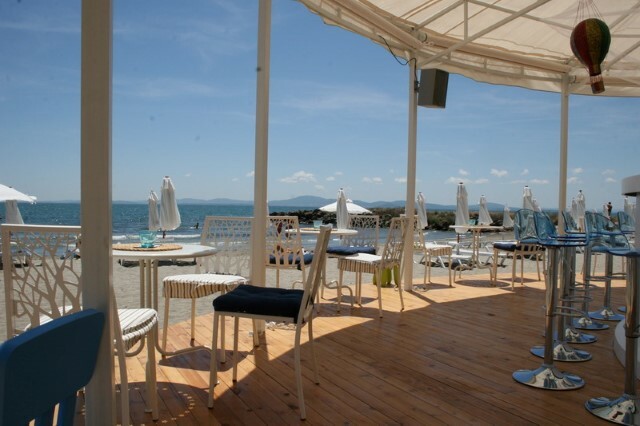 The complex offers all amenities for a pleasant holiday at the sea side. 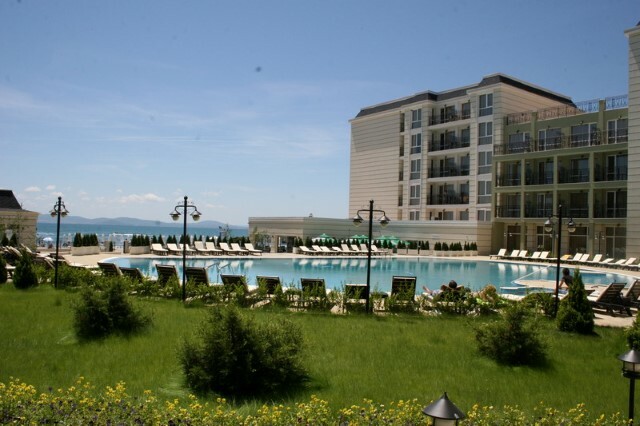 Facilities in the complex: Main restaurant with terrace overlooking the sea, lobby, pool bar, beach bar, SPA and beauty centre, fitness center, Internet access, room service, trade center, parking, lifts, swimming pools for adults and children, outdoor area for sun-chairs, children’s playground, reception, tennis court. 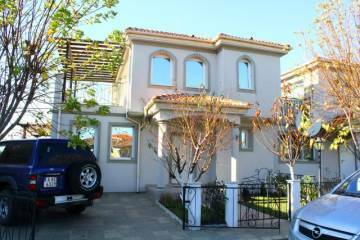 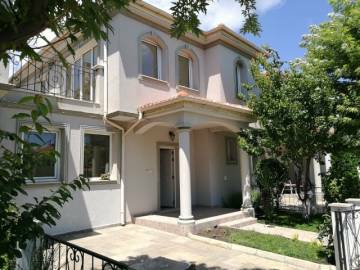 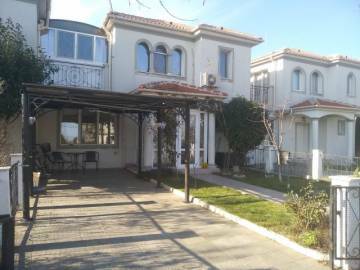 Distribution: entrance hall, living room with kitchen and dining area, bedroom, shower room with toilet and terrace with an access from both rooms with sea view. 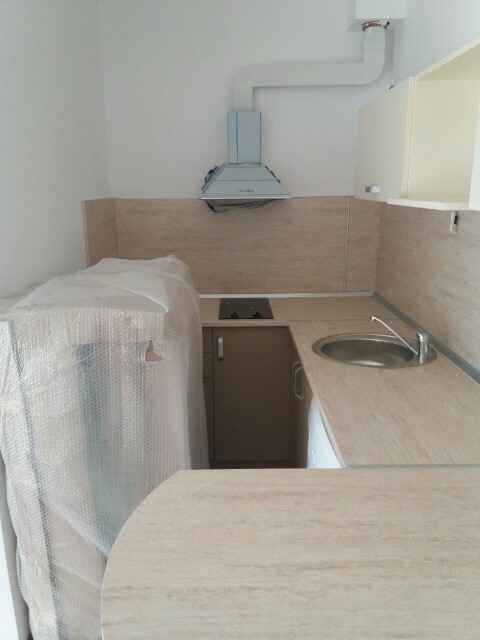 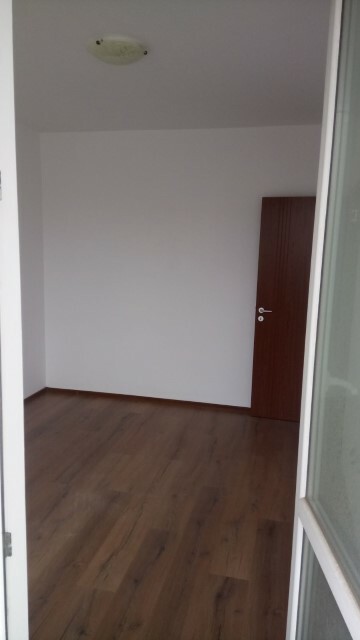 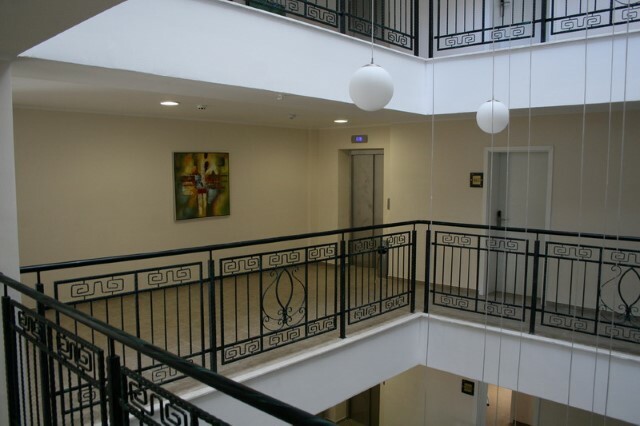 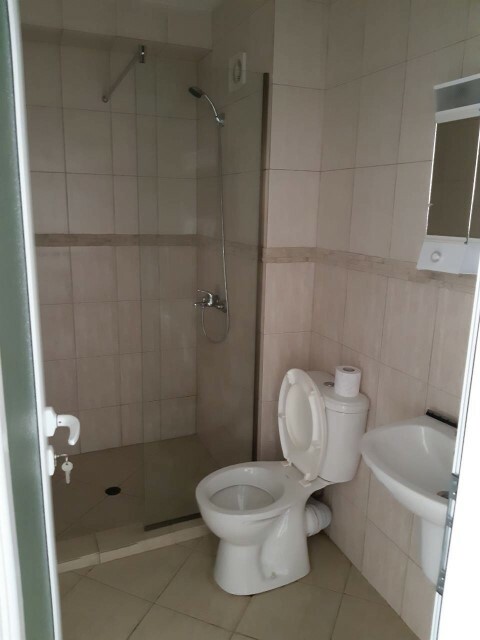 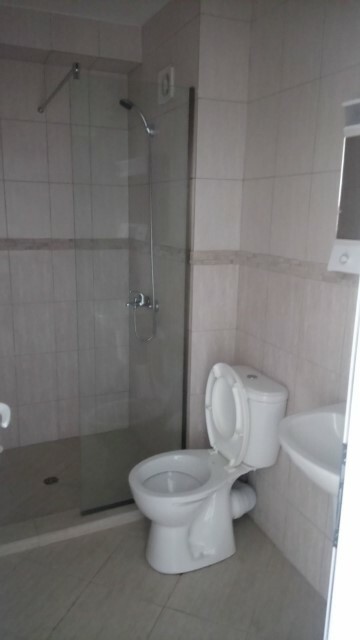 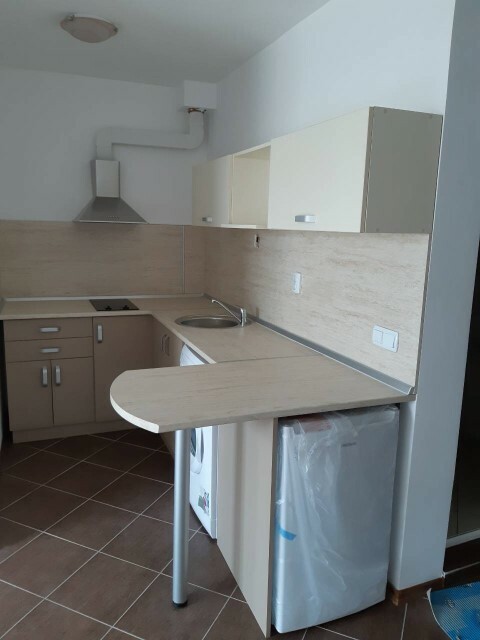 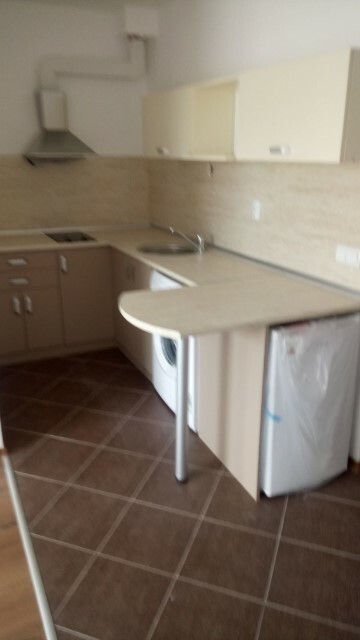 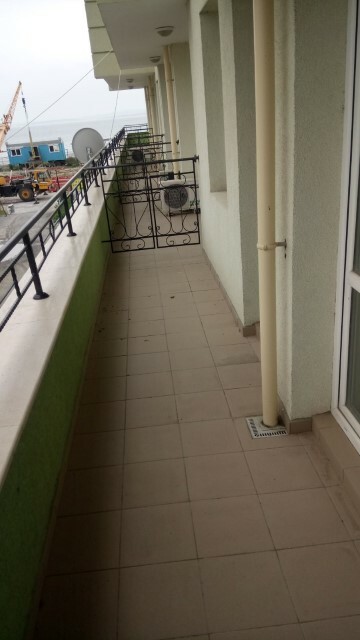 Finishing works: The apartment is fully finished - terracotta tiled floor; latex painted walls and ceilings; PVC joinery; MDF doors; shower room with toilet - fully finished and equipped, terracotta tiled floor, faience on the walls, sanitary ware, shower cabin and water heater; Air conditioning. 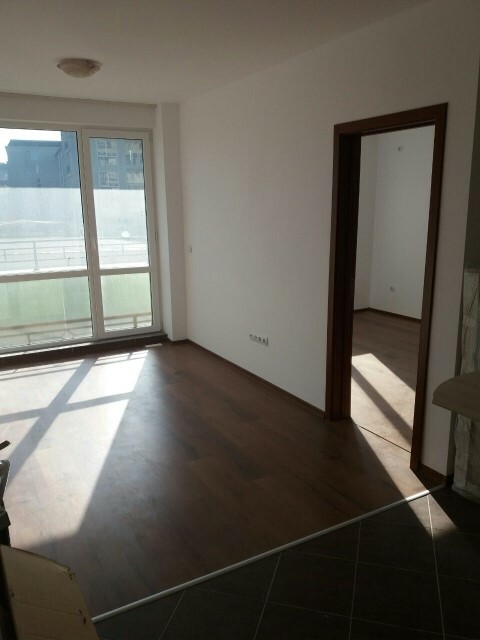 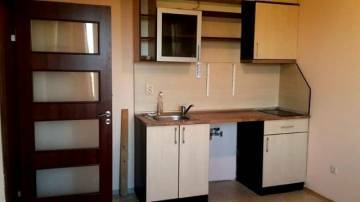 Furnishing: The apartment is for sale with built in kitchen cupboards and equipped with home appliances, sofa bed, curtains. 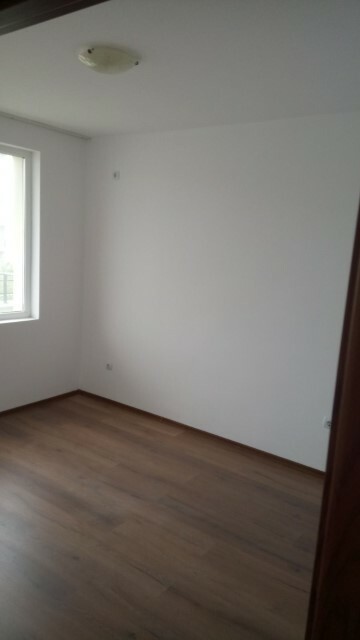 Annual maintenance fee: 6 EUR/sq.m.